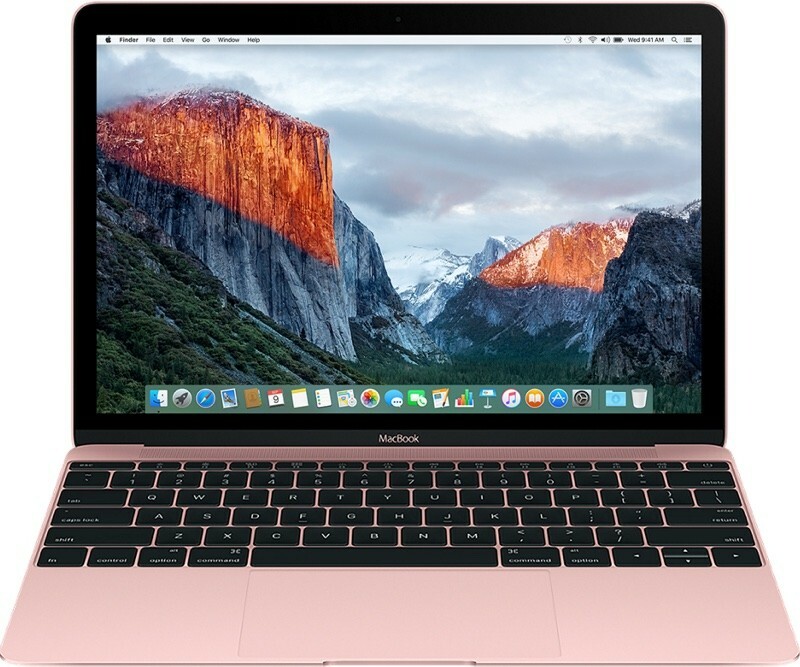 Apple's 12-inch MacBook lineup is expected to receive a refresh in 2018, and the new machines may use Intel's upcoming 8th-generation 14nm++ Y-Series Amber Lake chips. Details on the new chips leaked recently from Dell's Chilean site and Romanian site NextLab501, as highlighted by MacRumors forum reader EugW. Chips appropriate for the 12-inch MacBook include the 1.1GHz Core m3-8100Y, the 1.3GHz Core i5-8200Y, and the 1.5GHz Core i7-8500Y. Maximum clock speeds for the new Amber Lake chips suggest significant improvement in processor speeds over the 7th-generation Kaby Lake processors. For comparison's sake, Turbo Boost topped out at 3.0GHz on the 1.2GHz entry-level processor, 3.2GHz on the mid-level 1.3GHz processor, and 3.6GHz on the 1.4GHz high-end chip option in the previous-generation machines. All of the chips use Intel's UHD 620 integrated graphics and are expected to be released in the third quarter of 2018, with the timing perfect for a fall refresh of the 12-inch MacBook. Dell's upcoming and as-of-yet-unannounced XPS 13 2-in-1 machine confirms the existence of the Core i5-8200Y and Core i7-8500Y processors, both of which are listed as processor options for the new device. Intel first announced its upcoming Amber Lake chips at Computex, but thus far has not provided official info on the upcoming processors. Rumors have not indicated when updates to the 12-inch MacBook will be available, but Apple could introduce refreshed machines alongside new iPhones in September, hold an event in October, or release them on a random date as it did with the recent MacBook Pro. The recent launch of the MacBook Pro also hints at one new feature we could potentially be seeing in new 12-inch MacBook models aside from processor upgrades -- a third-generation butterfly keyboard. 2015 and later 12-inch MacBook models have suffered from the same issues with keyboard failures, so it would make sense for Apple to include an updated keyboard in those machines as well, if, as speculated, the "quieter" third-generation MacBook Pro butterfly keyboard's new silicone coverings do indeed prevent dust from infiltrating the keys. The processor upgrade looks good, intel have done a decent job. All Apple need to do is drop the price of the 12'' Macbook to the same as the current Air 13'', introduce a 14'' version at the same price as the current 12'' price and replace the headphone port with another USB-C. I just wish the MacBook had one more usb-c port or a dedicated charging port. I really love my i5 2017 MacBook. For what I use it for, its perfect and has exceeded all my expectations for it. Does anyone know if a dual core chip could go in the MB or would it end up frying it? Ummm... they’re already dual core. Please lower the price of this machine. It's been like four years. Let this be your $999 machine, and make a 13" MacBook with a second port and more power. Do people buy MBs? Isn't the 13" Pro nTB a better deal? Apple should put Intel aside for this and the mac mini. Now that the MBP 13" has a quad-core processor, there's no risk of cannibalism. Agreed but......not with these "crappy" CPU's.